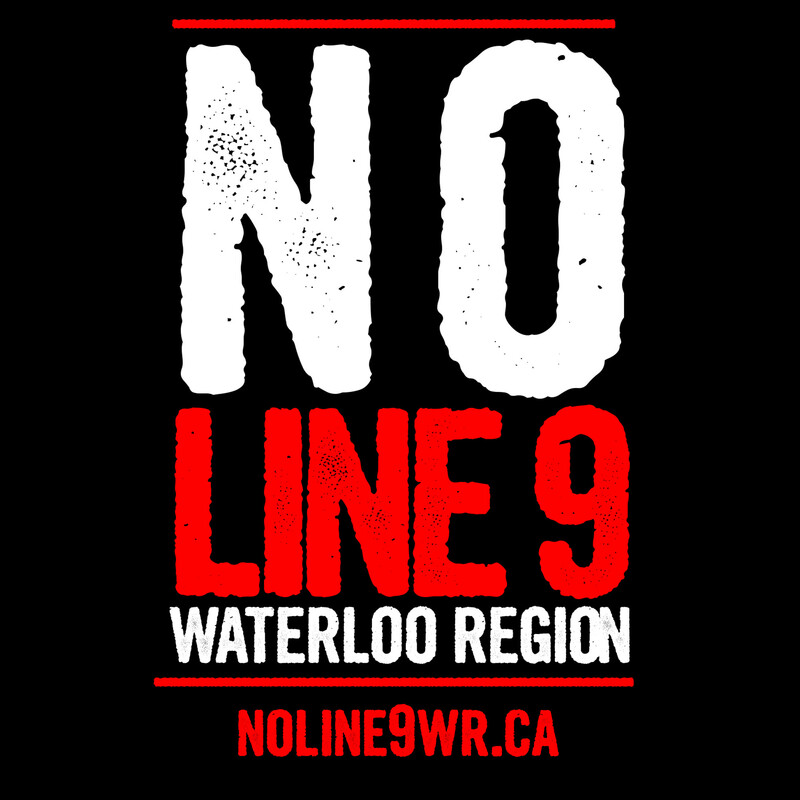 Sign up here for the bus from Kitchener and Guelph! On Tuesday June 16th in Toronto , The Chippewas of the Thames First Nation is appealing the National Energy Board’s approval of Enbridge’s Line 9 pipeline which runs through southern Ontario and is set to carry tar sands diluted bitumen east for export. On the first day of the appeal, at 11am, a demonstration of support has been called for outside of the courthouse (Federal Appeals courthouse located at 180 Queen Street West, Toronto). Support in the courtroom is also requested for those who can make it in at 9:30am. The Chippewas court case centers on the lack of consultation with the community on the reversal project which crosses through the First Nation’s traditional territory and would massively impact its land and water in the case of a spill. The Canadian Constitution, under Section 35, states that First Nations have a right to be consulted on projects that could negatively impact their land. Yet neither Enbridge nor the government consulted with Chippewas of the Thames on the project and now the dangerous pipeline is planned to go online this June, possibly before the case is even heard in court. A pipeline safety expert with over forty years of experience in the energy sector, Richard Kuprewicz, has stated that the probability of Line 9 rupturing is over 90% in the first five years of operation. This is due to the large number of fractures in the aging pipeline and the new, much heavier substance which has to be transported at a higher temperature and pressure. With such a high probability of a spill, it is absolutely crucial that all 18 First Nations along the line be consulted, including Chippewas of the Thames. Please come out to show your support for Chippewas of the Thames First Nation, their legal appeal, and their right to free, prior and informed consent! We are organising a bus to take people to the rally from Kitchener and Guelph. Sign up here to save your spot! It's free! The bus will be leaving from behind Kitchener City Hall at 8:45am on June 16, and in front of Guelph City Hall at 9:20. We expect to be back in Kitchener by 4:30.